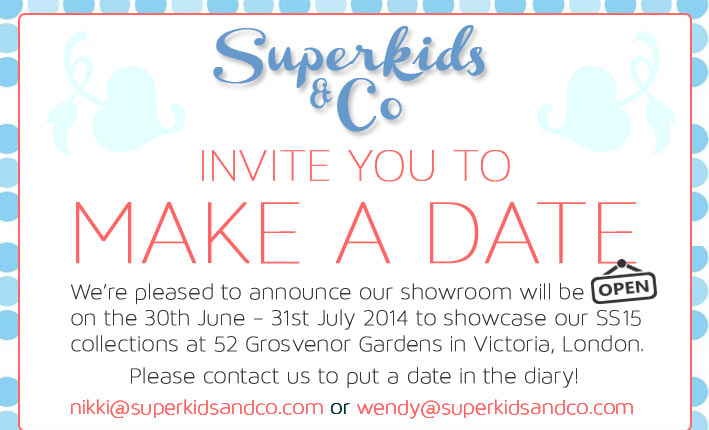 Make a date with the Superkids! We’re pleased to announce that our showroom will be open for SS15 collections from the 30th June to 31st July. Our showroom is located in the heart of central London at 52 Grosvenor Gardens, Victoria. Please contact us to arrange an appointment. We look forward to seeing you soon.